The rare devices in the video are referred to as P-series prototypes. 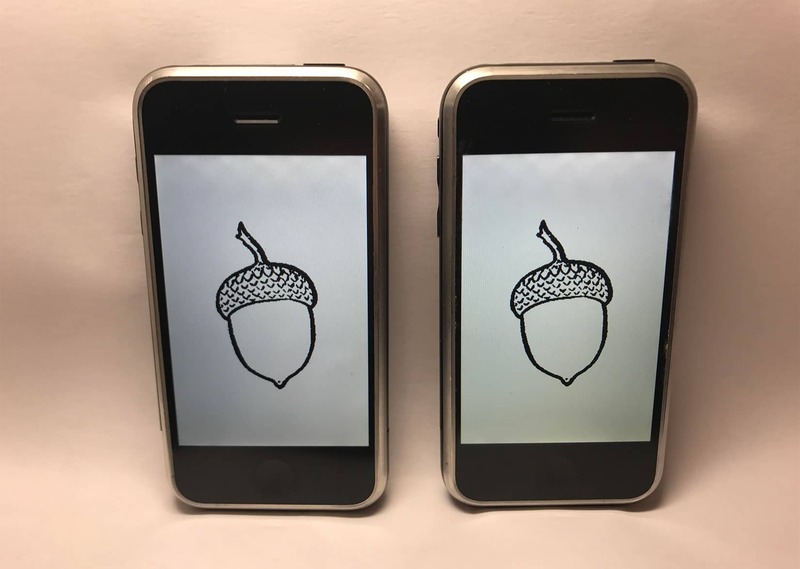 The phones use a touch interface called “Acorn OS.” One screen frames a set of crude icons while the other shows a scroll wheel that looks a lot like the hot device of the day, the iPod. These are Holy Grail artifacts, devices that are not supposed to exist. But Plain is one of a handful of individuals who quietly collect Apple’s secrets. These rare devices surface as long-time or former Apple employees begin to declutter their lives and seek out a home for work that’s long become obsolete. Plain’s P-series prototypes got featured in a video released in January by Sonny Dickson, whose website is known for leaking news about upcoming Apple devices. The video went viral, though Plain kept his identity under the radar to see if Apple would react negatively. Apple attorneys did not send a cease and desist letter to Dickinson. But apparently, the video proved exciting for current members of the iPhone development team, according to Plain, who has friends who work in Cupertino. The touch-driven Acorn OS on these P-series prototypes eventually became iOS. As Apple raced to develop the original iPhone, Jobs formed two teams and pitted them in an internal competition to come up with a touch-driven operating system. Fadell, the designer of the iPod, headed one; Forstall, a Mac executive, headed the other. The phone from Team Fadell utilized the scroll-wheel interface while the other device with the rough-looking icons came from Forstall’s team. Of course, those icons proved to be more practical and eventually won out. They got prettied up in design and became the iOS we know today. Plain thinks fewer than 20 people collect Apple pre-production devices, the crude test models that engineers and development team members use so that cliches and UX hangups can be identified and worked out before hitting store shelves. Different levels of prototypes can exist for a given device. They might start with a crude, ugly first version designed to test components, then evolve through a series of increasingly polished prototypes that ultimately test final software packages and form factors. Dozens or even hundreds of prototypes of a single device can exist or, in the case of Plain’s P-series 2G iPhones, a scant number. Plain is currently haggling with a shipping company over the value of an undisclosed prototype that got damaged during delivery (a truck apparently ran over the box at some point). The company does not want to pay the insurance value on it, he said. It is one of four known to exist and it is an item that can’t be replaced. Devices from earlier in Apple’s history prove easier to come by. Steve Jobs eventually tightened security on devices, often having them collected after a project and labeling the machines with a code that could trace them back to a particular employee. 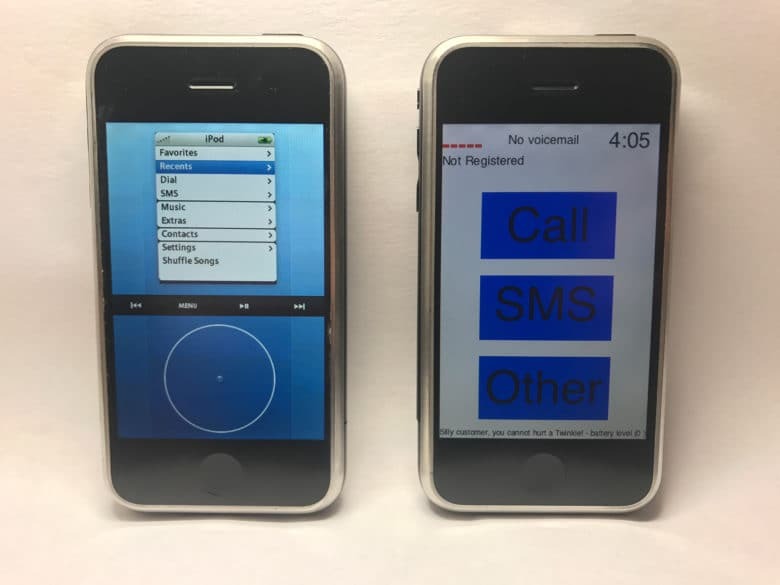 A first-generation iPod prototype is rare because fewer were created for testing, while iPhone prototypes might be greater in number because testing needs to be done around the world at different altitudes to test the antenna and other functions. These are no ordinary 2G iPhones. Plain possesses around 20 different prototypes related to the first-generation iPhone, acquired from various sources. 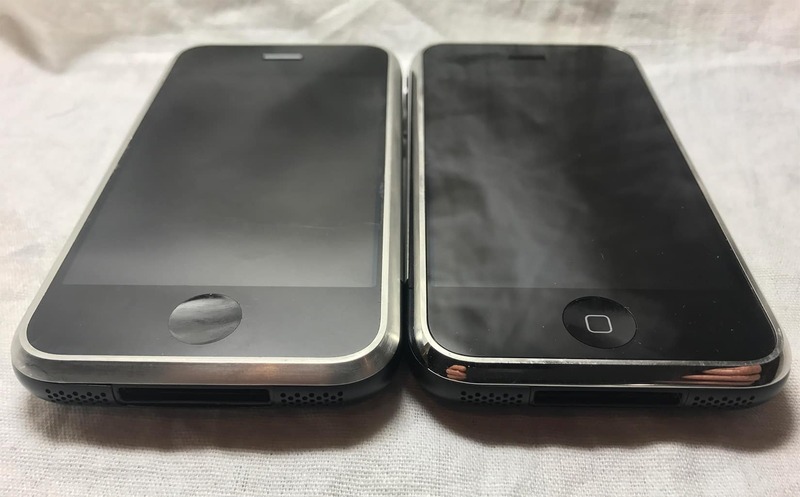 The two P-series prototypes came from a friend and former Apple employee. He won’t disclose the insurance value. Plain said sometimes team members view the devices through a different lens than a typical consumer. The extra hours and hard worked expected of these teams can be brutal, he said. The sacrifices attached to a particular device can be a source of pain that that can benefit collectors like Plain. Some Apple engineers from the ’80s or ’90s might be sitting on prototypes that seem like junk to them but might be of great value to collectors. “I’m sure somebody somewhere has a storage locker with gaggles of things that will blow collectors’ minds,” he said.